Truth is, just because a manufacturer says their tent is made to accommodate 4 people doesn’t necessarily mean it will be suitable for your family of four. 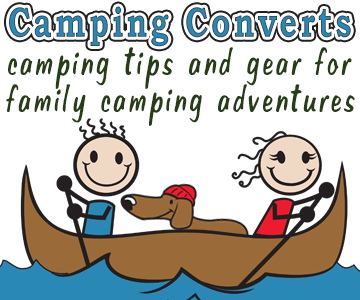 So how do you know which of the available camping tents for 4 people will be roomy enough for your family? No worries! 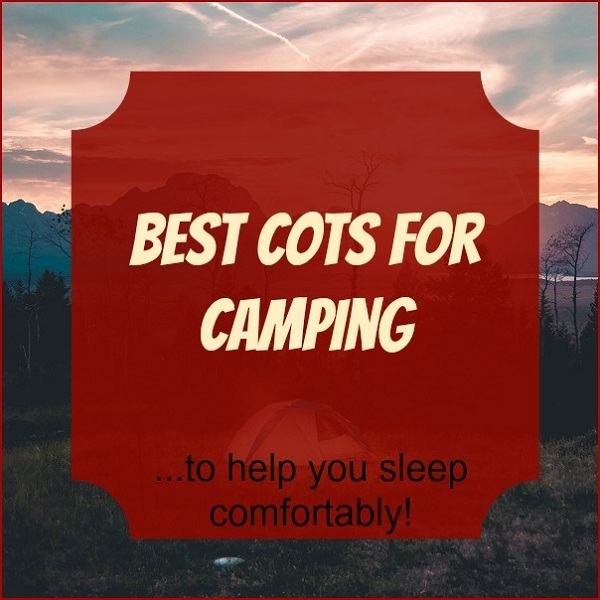 With more than 40 years of camping experience behind me, I know exactly how to select the perfect tent and I am here to help you. Most tent manufacturer’s make tents with the idea that tents are for sleeping only. A 4 person tent will accommodate 4 average size adults if you want to be packed into the tent like sardines. 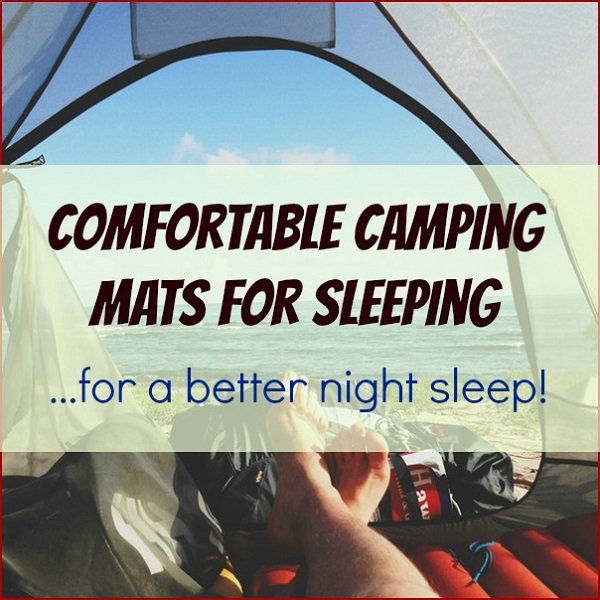 If you really want a 4 person tent large enough for comfort while camping, then you will want to choose a tent made for 2 to 4 people more than your intended camping group. 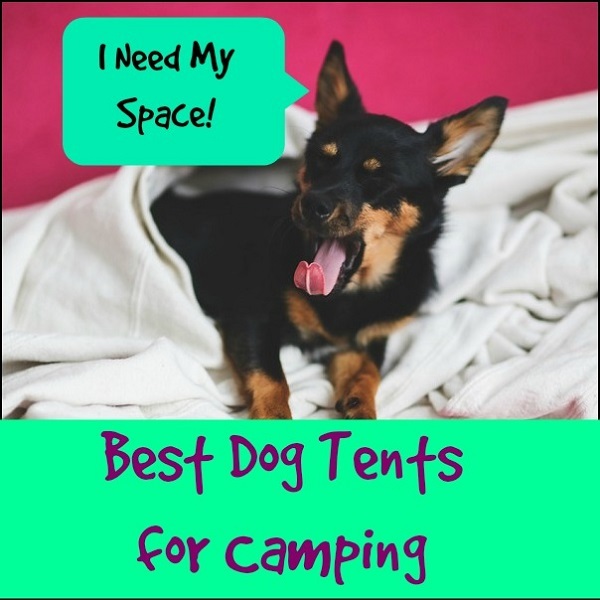 I personally, have never used a 4 person tent, because once I discovered camping I decided to invest in a really large and sturdy tent. Our first tent was a Canvas cabin type tent made by Coleman and designed for 8 people. However, as my family grew, my boys often wanted to sleep in their own tent. So over the years we have had several 3 and 4 men tents that were perfect for accommodating 2 or 3 boys in sleeping bags. The boys loved having their own tent, and it gave us even more room in our larger tent for the rest of the family. If you are looking for the best camping tent for 4 people, whether for 4 adults or a mix of adults and children, you are going to want a tent that has plenty of space and is easy for everyone to enter and exit. 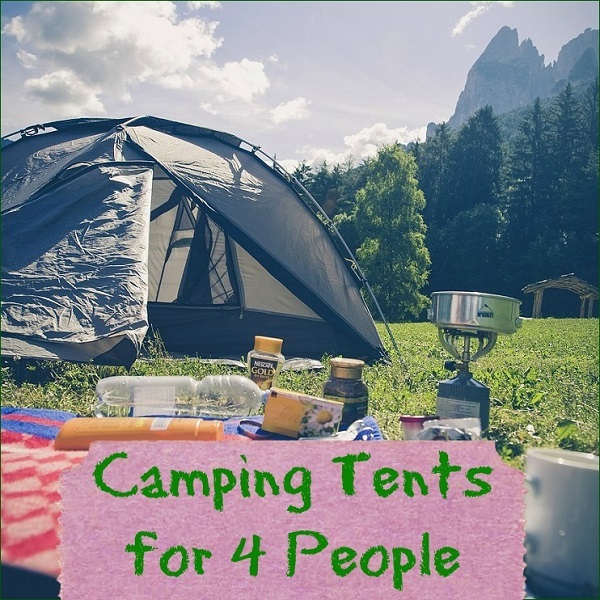 I have meticulously sieved through lots and lots of tents that are currently available and finally selected the top rated 4 person camping tents I found that should accommodate 4 persons fairly comfortably. Coleman 6-Person Instant Tent The Coleman Instant Tent is rated for 6 people and should be adequate for most families of 4. This tent is roomy enough (10’ X 9’ foot print) for a double or 2 queen size mattress and 2 sleeping bags for kids. If 4 adults are using this tent then sleeping bags and mats may be a better fit. I like the fact that this tent has plenty of ventilation to keep you cool and comfortable. 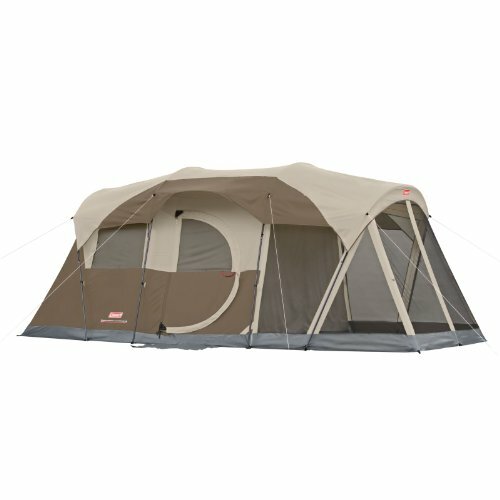 A lot of users stated that the Coleman 6 person Instant Tent is study and well made. It is also easy to set up and equally easy to take down, making it less work when setting up camp. 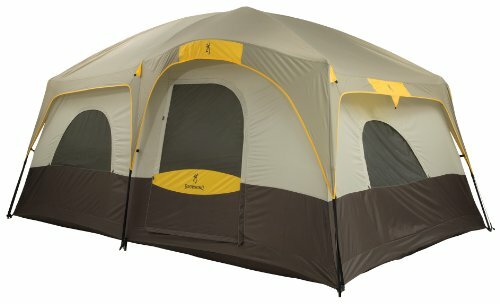 Browning Camping Big Horn Family/Hunting Tent The Browning Camping Big Horn Family/Hunting Tent is perfect for families of 4 who want plenty of room. This tent features 2 rooms (a room divider separates the rooms), 2 storage pouches and 2 doors. So, it can easily accommodate 4 people and some of their gear. 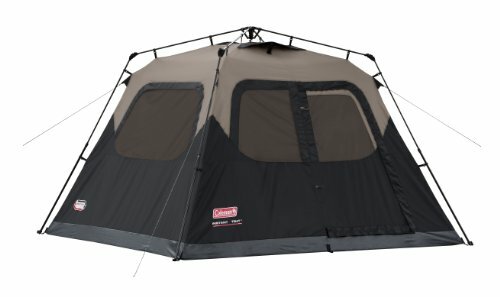 With 73”center height, users really like the fact that even relatively tall people can stand up inside this tent while changing clothes or doing general cleanup. Users also find that this tent is well constructed and holds up well to most weather conditions. Setting up this tent is fairly easy although it is much easier to set up by 2 people rather than one. Coleman WeatherMaster 6-Person Screened Tent The Coleman WeatherMaster 6 Person Screen Tent offers plenty of room for a family of four, with 19′ X 9′ foot print, 2 rooms, 2 doors and 6′ 10” center height. It has a screened portion that you can use for storing some gear, leaving you and your family more space in the WeatherMaster Tent. The fact that you can stand up in the center of the room is a plus. This tent has nice ventilation – you won’t be hot when sleeping in this tent unless the humidity is high and the night is still. It also features electrical access port, so you can easily charge your phone, lap top or use any other electrical appliance of your choice. Better still, it is easy to set up by two people. Hope you find one of the camping tents for 4 people featured here suitable for your family adventure. I agree with you that most 4-person tents are too small for the average family of four. You would practically be sleeping on top of one another.